Do-It-Yourself Business Cards | TonerGreen - Eco-Friendly Toners from the U.S.
With the various industries that open at present, you may have thought that you want to make your own business. Whether it is found in your own home or in a real office space, it will take tons of effort and time to successfully launch your new company. 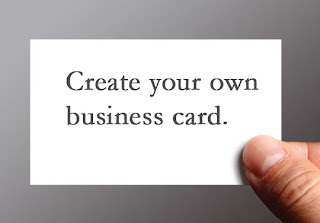 Producing business cards can help you in this tactic especially when you decide to make these by yourself, saving your money from unnecessary expenses. So, how do you produce your own professional business card with the help of your printer and ink or toner cartridges? There are different papers sold in stores so make sure you go for the right one. Your choice will be dependent on the style and design that your business card would have. If you want to be simple and concise with it, you can try cream colored papers. Just make sure that the paper that you will use will not consume too many inks or toners and the layout will give it a professional look. You can try to create a draft of your design first then later put it on any drawing or painting software that you may have. You may seek assistance from those who are good at designing for this part. Microsoft has its Publisher that has different business card templates. Trying this won’t give you any problem since it is very easy to use. Creating a business can really tons of work from you at first, but you can lessen that when you know the right alternatives for the expensive materials like printer cartridges. Stick to the compatible inks and toners that can match or even exceed the performance of original equipment manufactured cartridges. Before you may have thought that you want to make your own business you must decide first how you going to Order Business Cards or make it by yourself.